The Rolling Stones announced Tuesday that the group will play a free concert in Havana on March 25, becoming the most famous act to play Cuba since its 1959 revolution. HAVANA (AP) — The Rolling Stones announced Tuesday that the group will play a free concert in Havana on March 25, becoming the most famous act to play Cuba since its 1959 revolution. The Stones will play in Havana's Ciudad Deportiva three days after President Barack Obama visits Havana. The concert is expected to draw a massive audience in a country where the government once persecuted young people for listening to rock music. "We have performed in many special places during our long career but this show in Havana is going to be a landmark event for us, and, we hope, for all our friends in Cuba too," the band said in a statement. Along with easing many restrictions on foreign music, art and literature, the Cuban government has increasingly allowed large gatherings not organized by the state in recent years. The Stones concert will almost certainly be one of the largest since Cuba began easing its limits on some non-official gatherings in the 1990s. "I'm definitely going to go," said Ivia Perez, 39. "It makes me think about being in high school, after the period of censorship. I listened to a lot of rock back then." On the same week as the visits by Obama and The Rolling Stones, the Tampa Bay Rays are expected to play the first Major League Baseball exhibition game in Cuba since 1999, part of an extraordinary string of events in a country that spent the Cold War isolated from the United States and its allies. Cuba and its capital have been flooded with tourists, visiting dignitaries and celebrities more than a year after Obama and Cuban President Raul Castro announced on Dec. 17, 2014 that they were moving to normalize relations. Cuban fans have been buzzing about a possible concert by "Los Rollings" since lead singer Mick Jagger visited Havana in October. "It's part of a dream to see the greatest icons of music who couldn't come before for various reasons, above all Cuba's isolation," said Cuban music critic Joaquin Borges Triana. "The Rolling Stones are going to magically unite generations of Cubans, from people in their 60s to their children and grandchildren." The Havana "Concert for Amity" will cap the Stones' America Latina Ole tour through seven Latin American cities. The band said it will donate instruments and other musical equipment from sponsors to Cuban musicians during their visit. The biggest musical performance in Cuba to date was held in 2009, when the Colombian singer Juanes drew more than a million people to a show titled "Peace without Frontiers" in Havana's Revolution Plaza. That concert angered Cuban-American exiles in the U.S. and its organizers wrangled with Cuban officials over performances by local artists critical of their government. U.S. government contractors also tried to use the concert to promote programs designed to foment political change in Cuba. 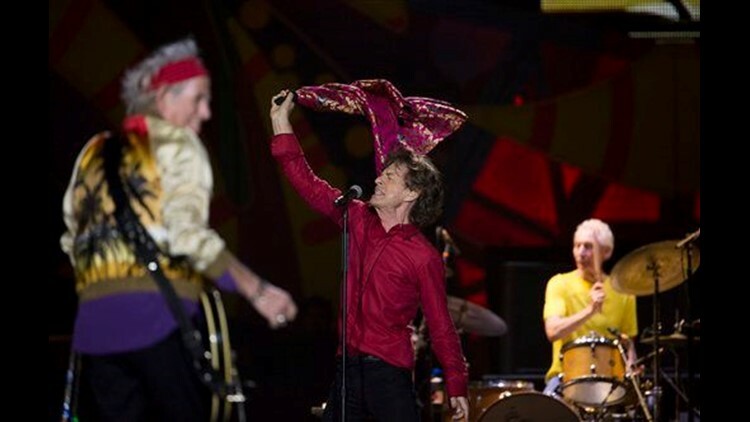 The Stones concert is expected to take place in a more relaxed political environment, as the U.S. and Cuban governments move rapidly to make their new relationship appear irreversible before the end of Obama's term. Associated Press writer Andrea Rodriguez in Havana contributed to this report.